Fast forward to the summer of 2017. 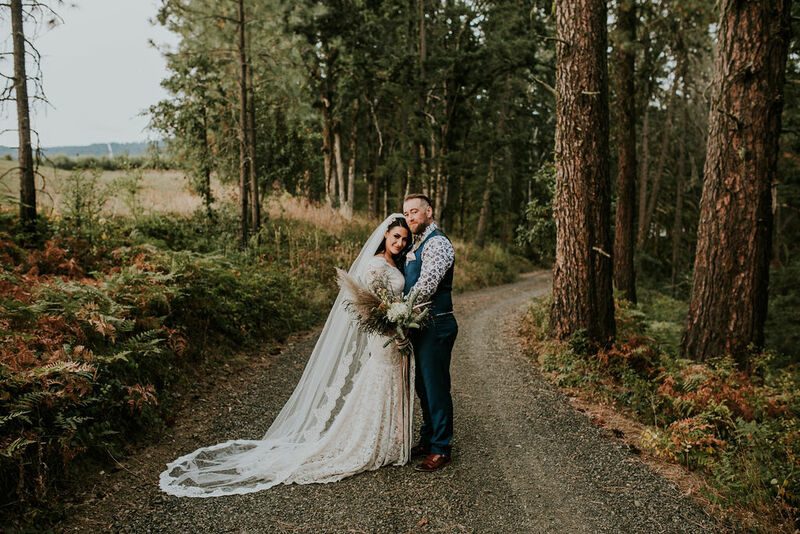 Jason brought his then-girlfriend, Gillian, from their home in Kamloops, British Columbia, to the Pacific Northwest for a short vacation with Brent and Kelly. 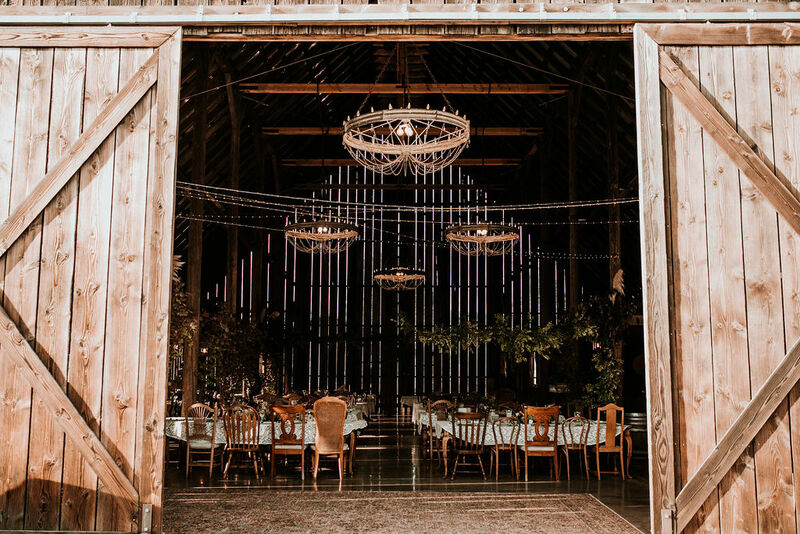 In on the secret, Kelly invited them to a tour of the venue as Gillian had never seen it in person. 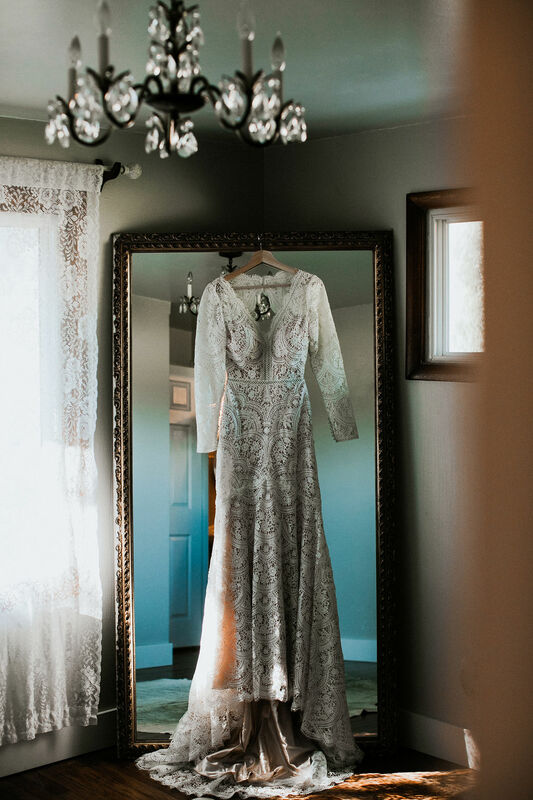 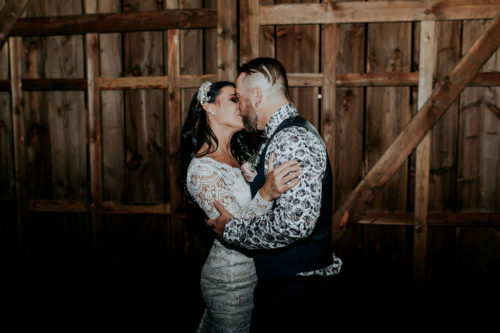 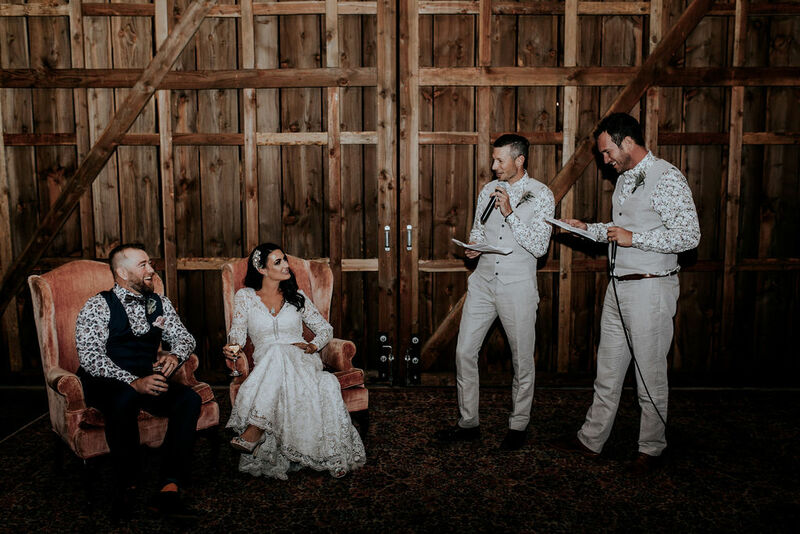 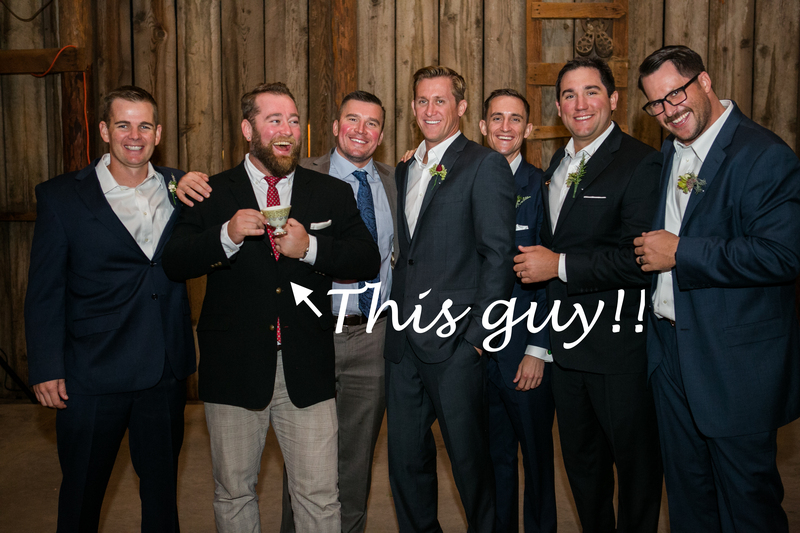 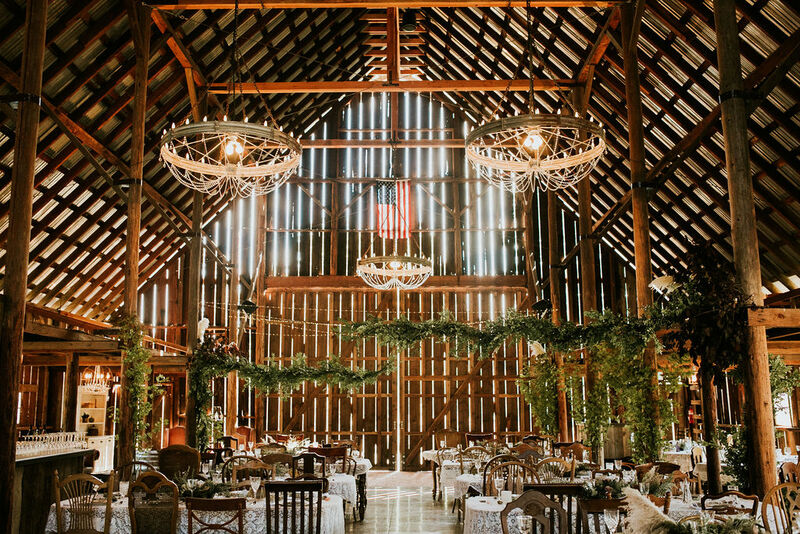 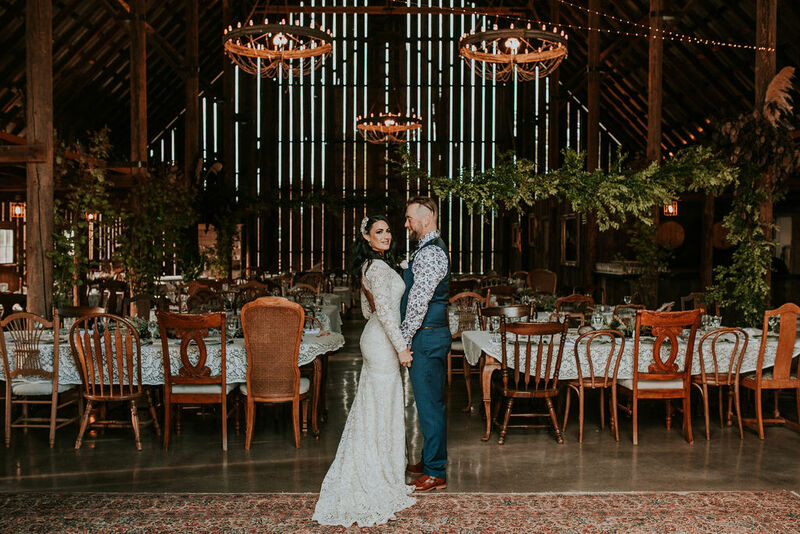 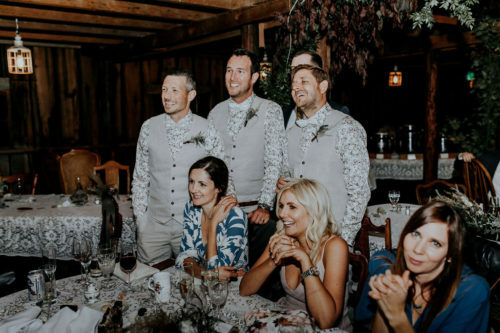 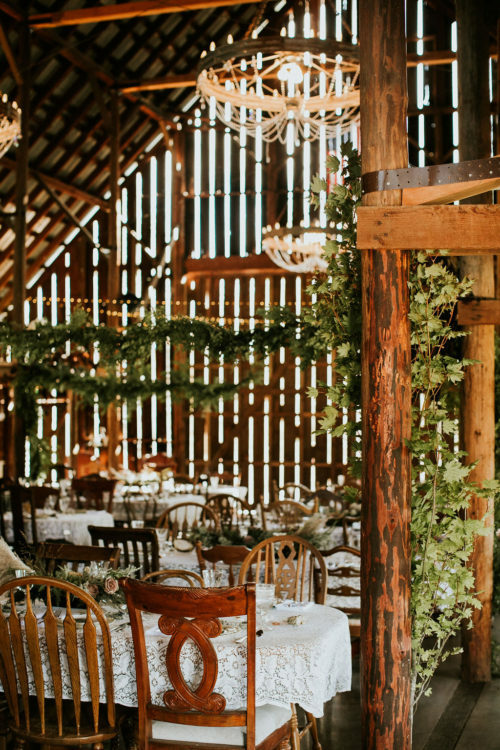 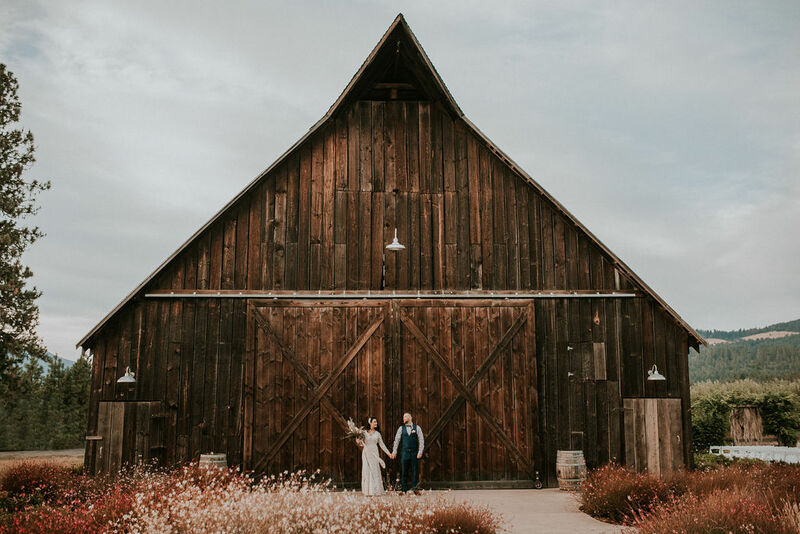 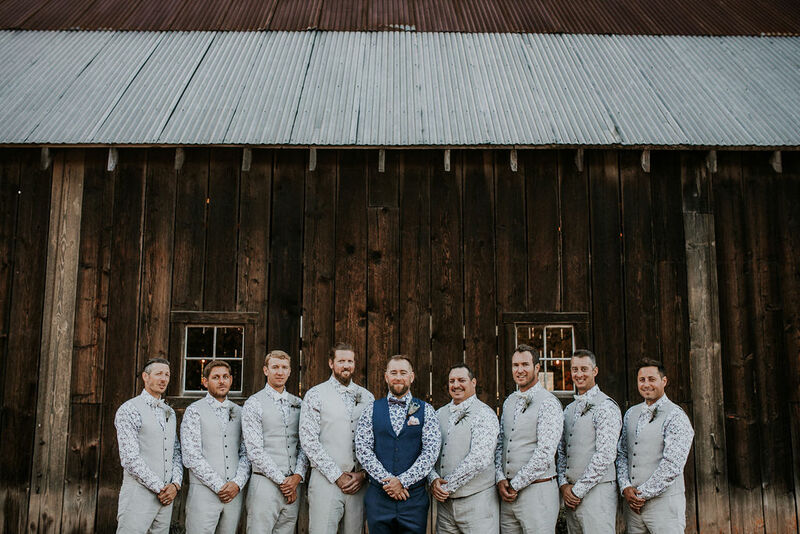 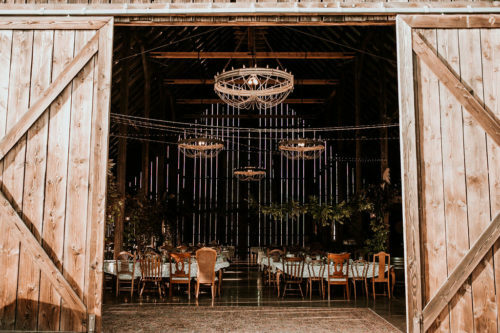 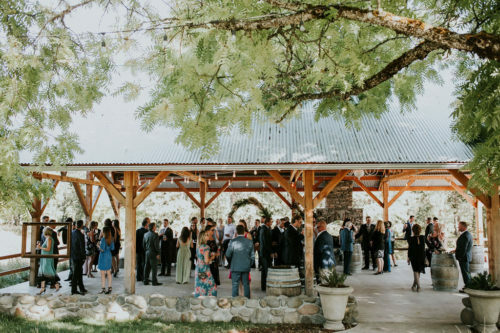 After walking all around the venue, Kelly and Brent rolled the massive barn doors open for this very special tour… and Jason got down on one knee. 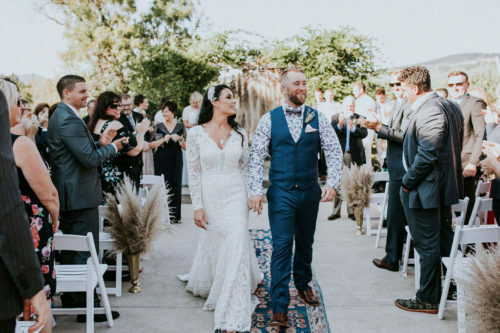 He proposed to his love in the very spot they would dance their first dance as husband and wife in little over a year. 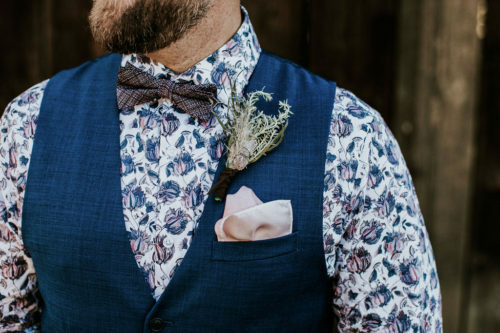 Gillian drew her style inspiration from her deep love of botanicals and crystals. 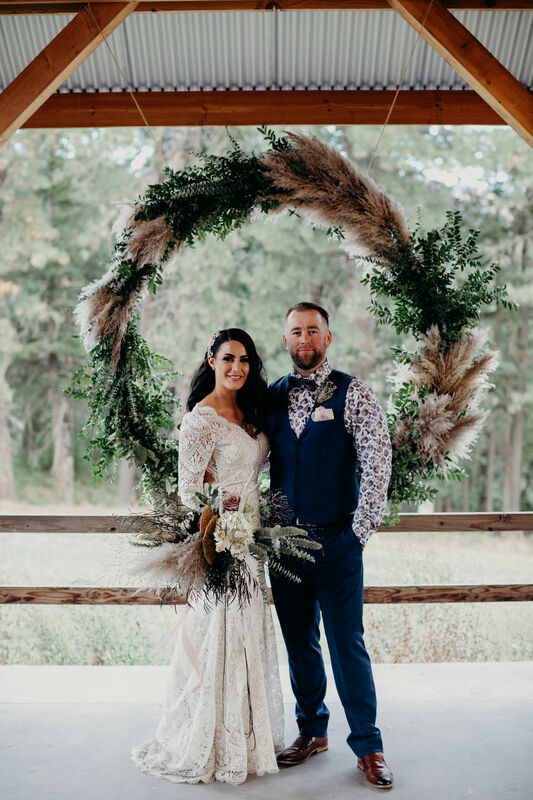 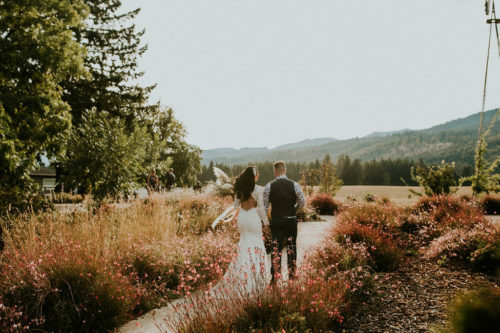 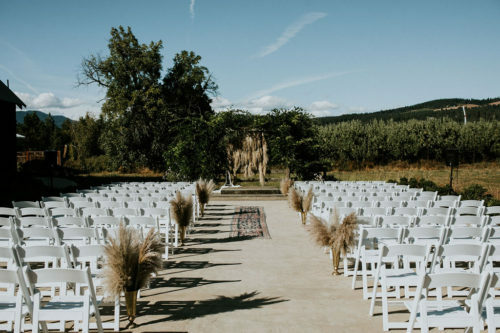 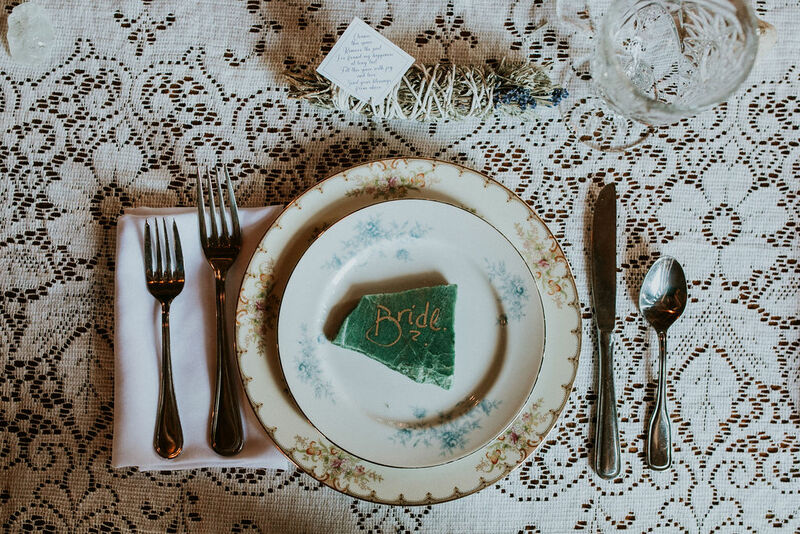 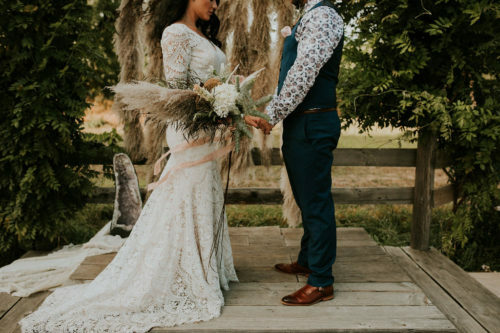 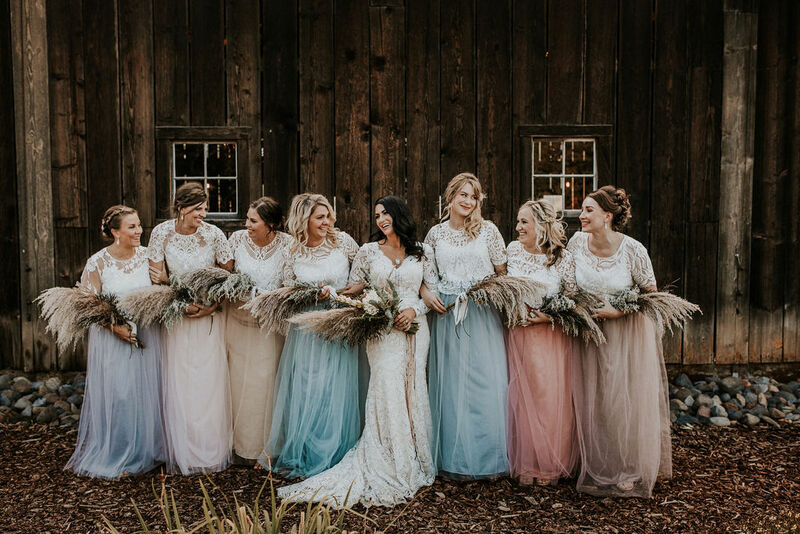 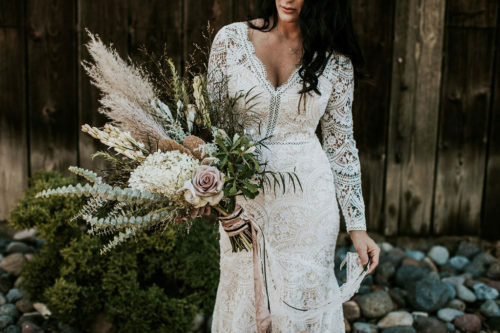 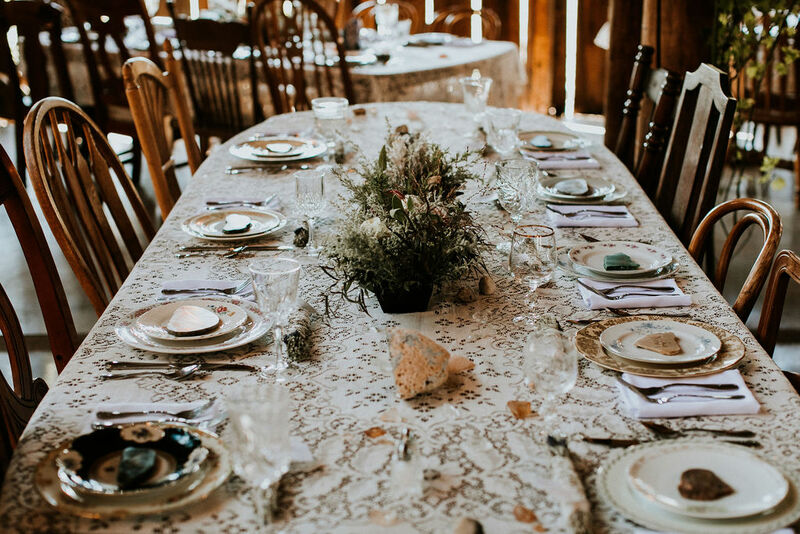 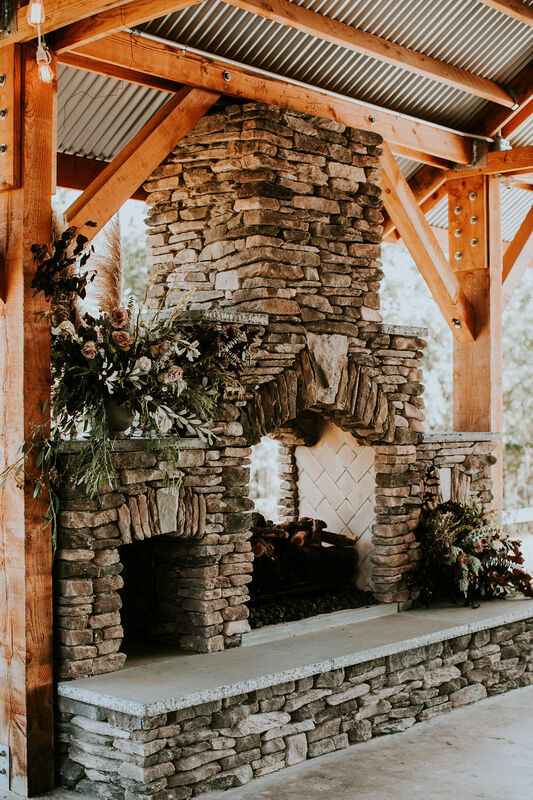 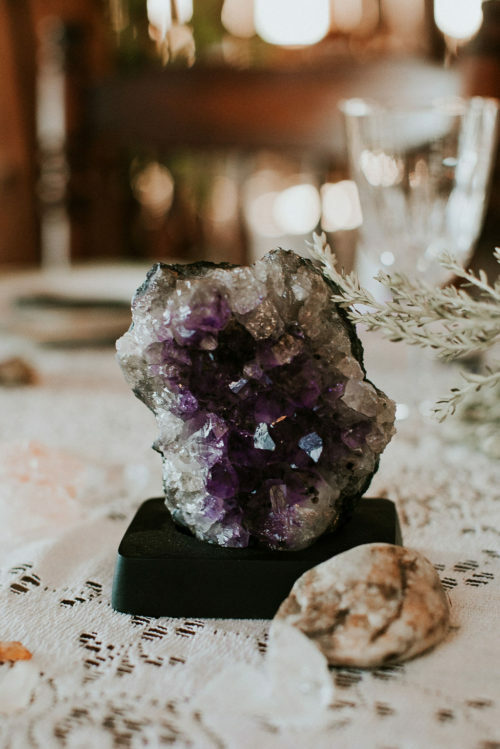 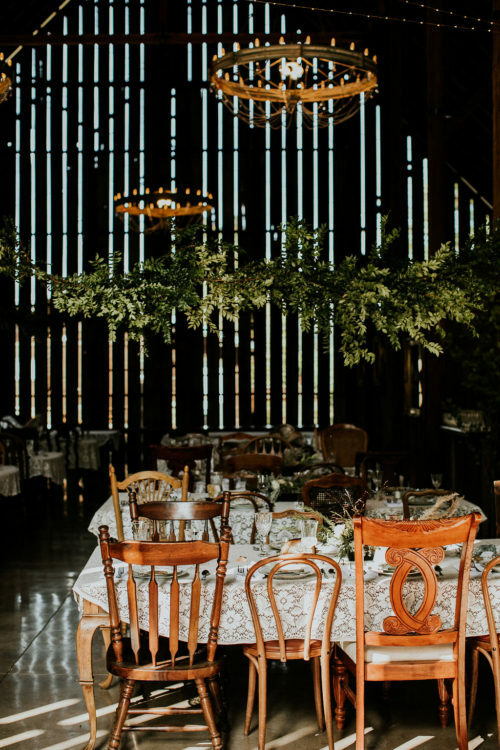 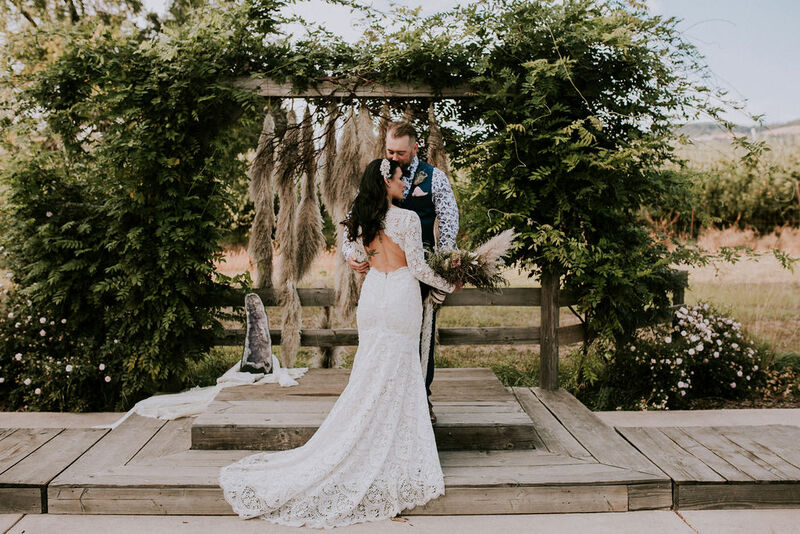 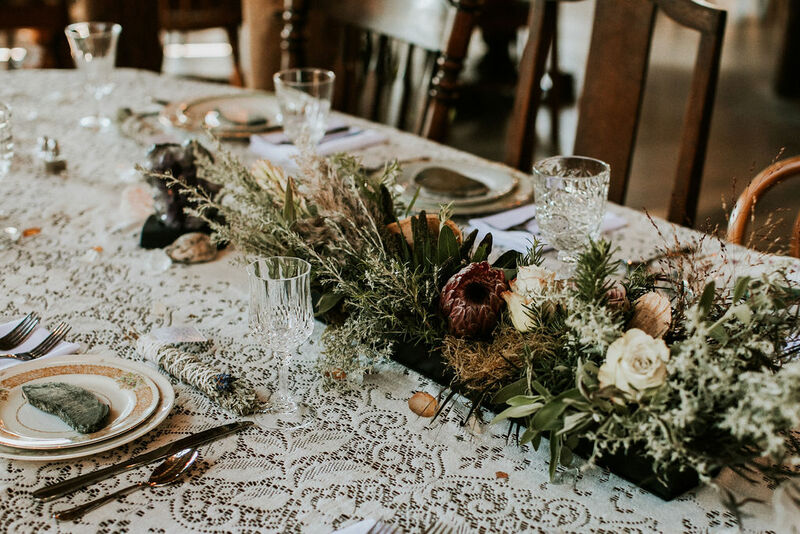 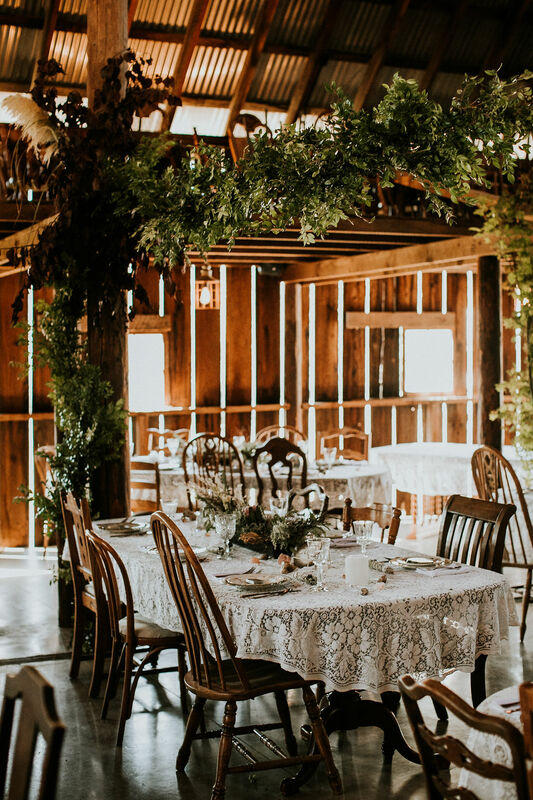 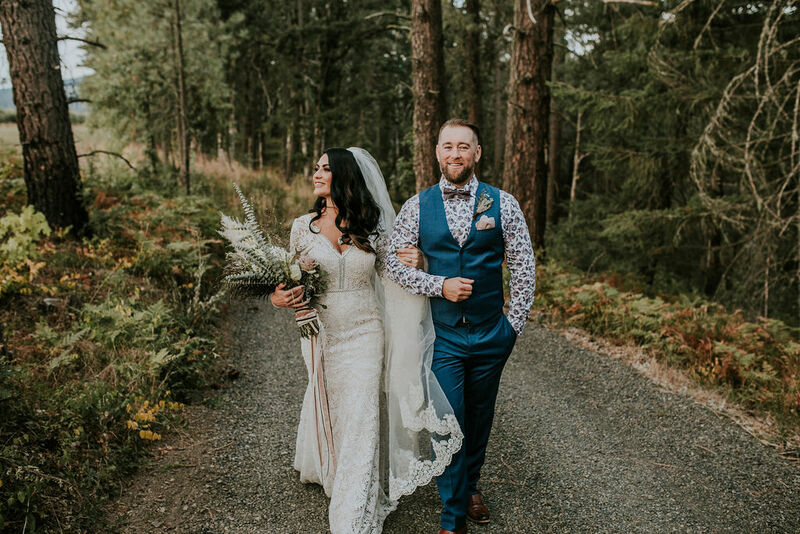 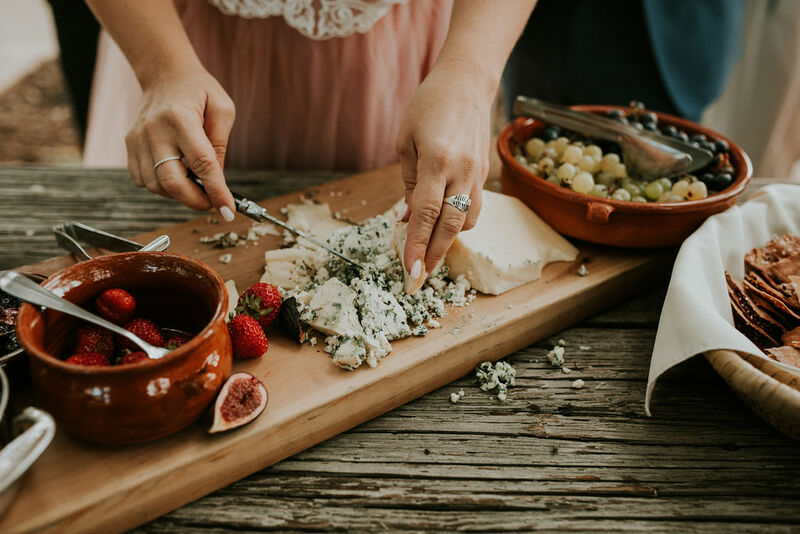 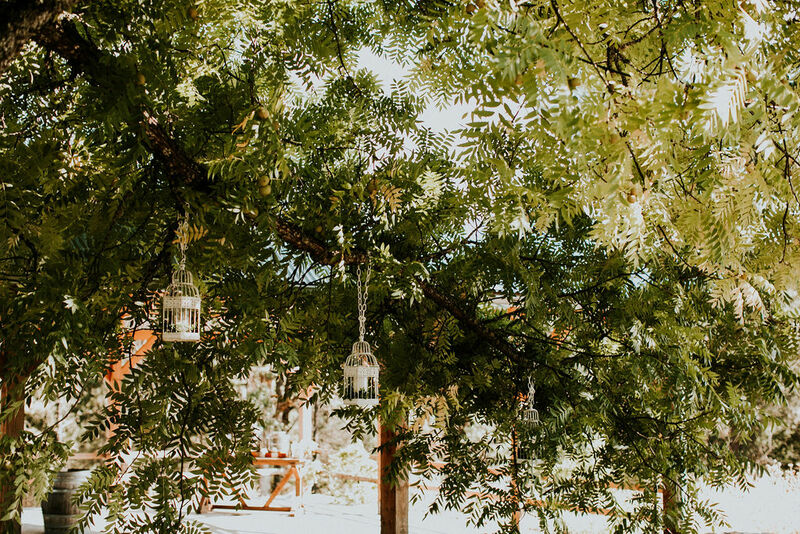 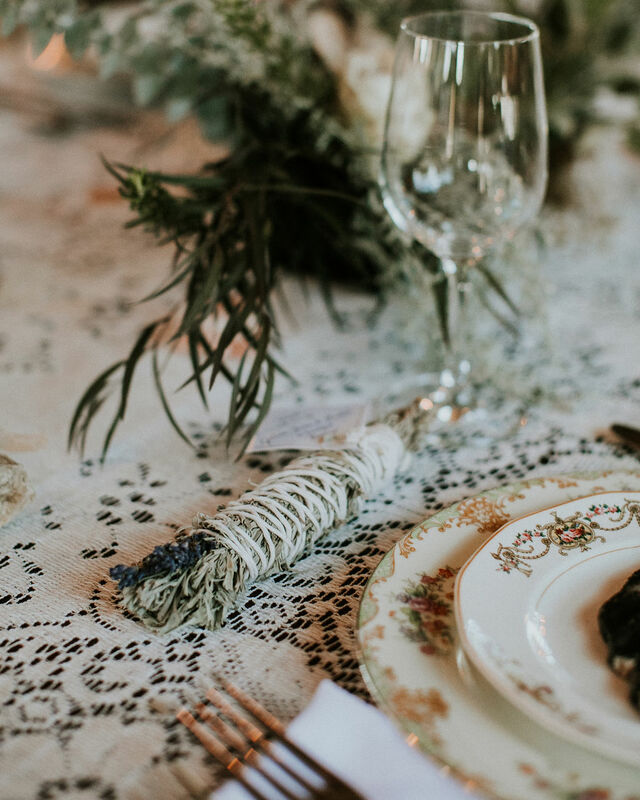 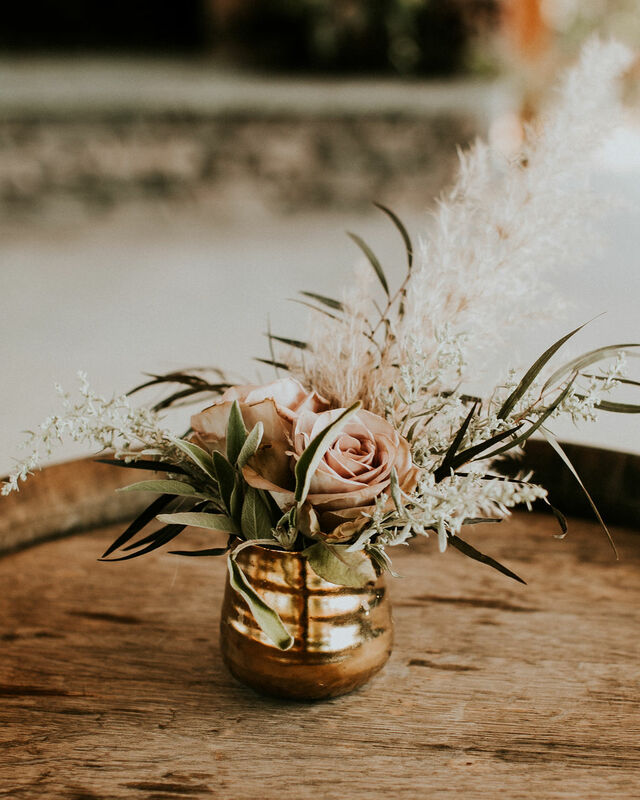 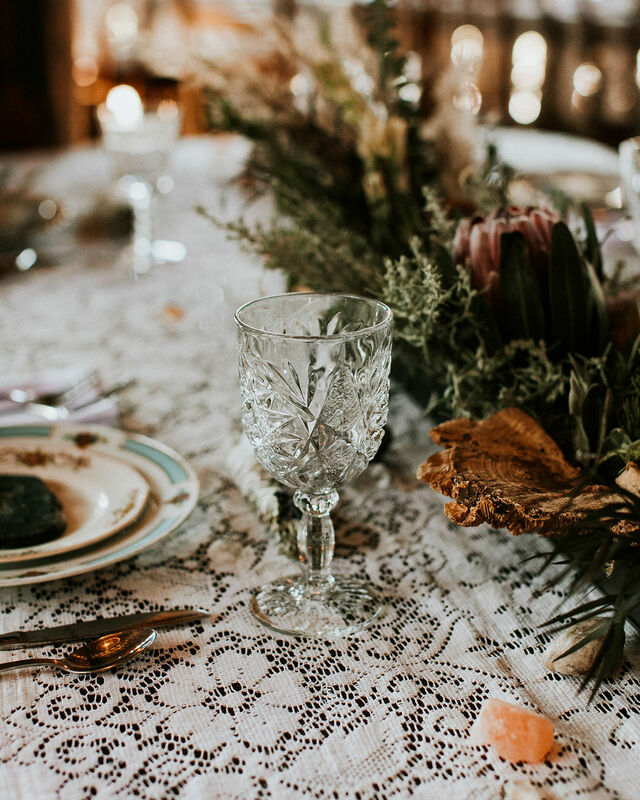 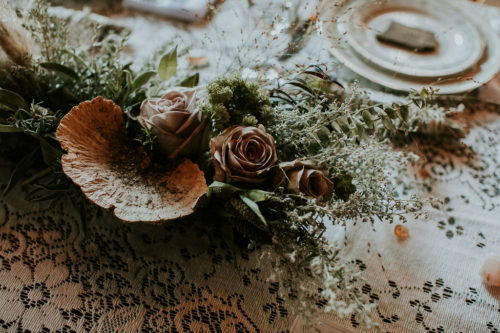 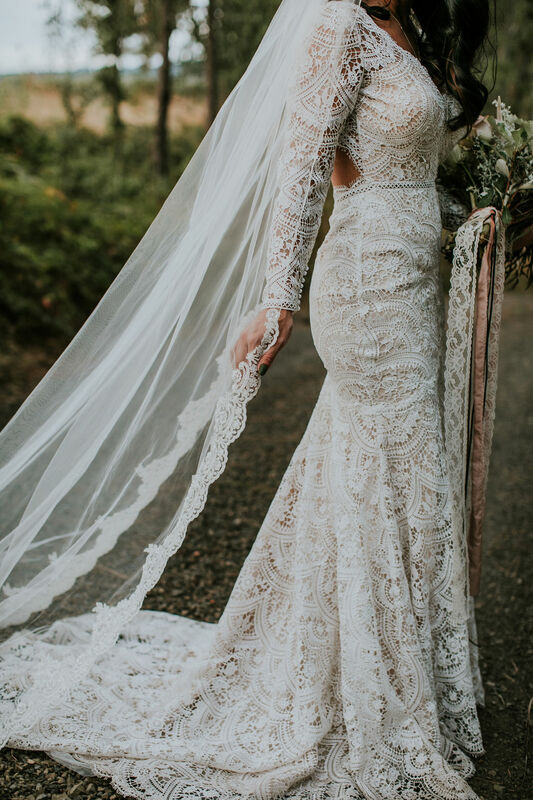 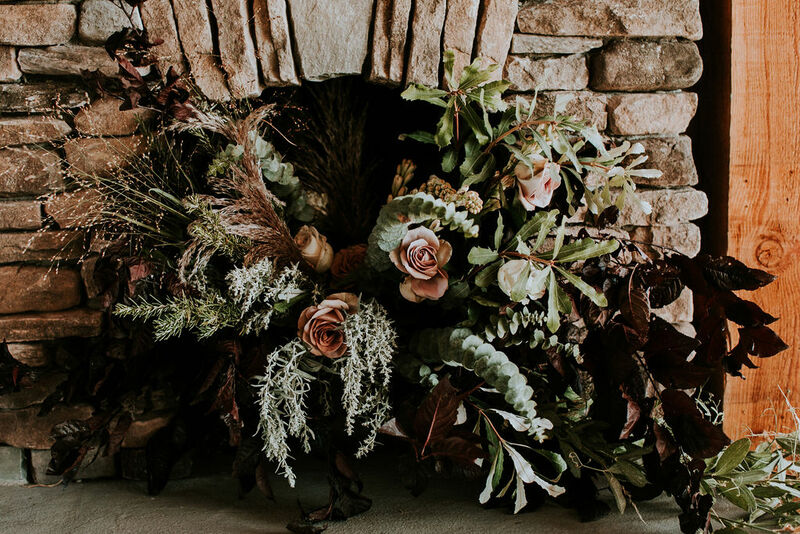 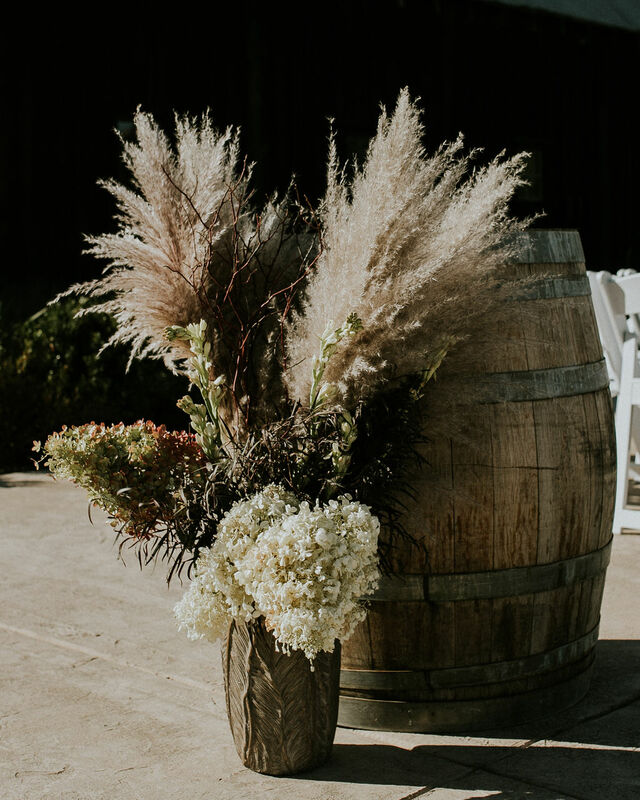 She and florist Bailey Rivers from Forest & Field collaborated on a vision full of “floating” greenery, pampas grass and even locally harvested mushrooms to create a stunning assortment of natural decor.